Infrequently there may be times where SpecVet is unable to properly update the Client's financials which may result in an apparent Balance Due or Credit Due to the Client. When this occurs, there is a very simple step that you can take to update the Client's financial amounts. Navigate to the Client's Invoice Screen. 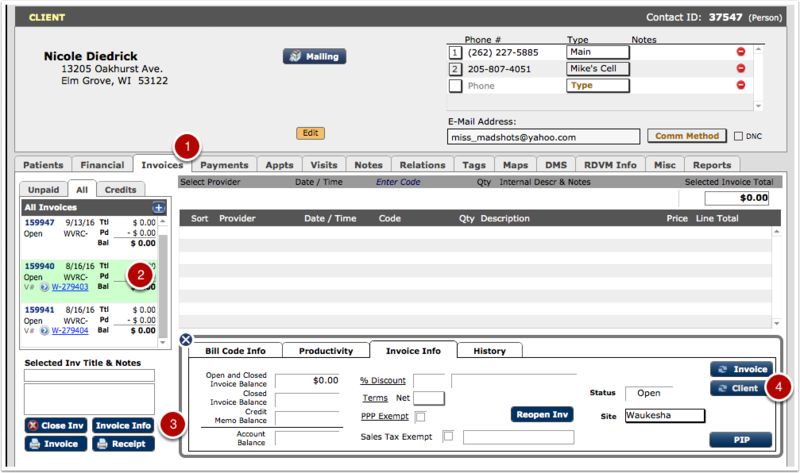 Select ANY of the clients Invoices. Click on the Refresh Client button.